When American singer-songwriter Malvina Reynolds composed, the folk hit Little Boxes in 1963 it was held up as a protest song about the sameness and predictability contemporary American architecture and 20th century society. More than half a century later, however, the habitat pendulum has swung and the Tiny House/Home movement is gaining momentum among sustainability activists, environmentalists, and a new breed of architects, who must rethink and incorporate inexpensive and realistic, as well as adaptable designs, into these tiny habitats them to become a reality for ordinary people in space colonization efforts. 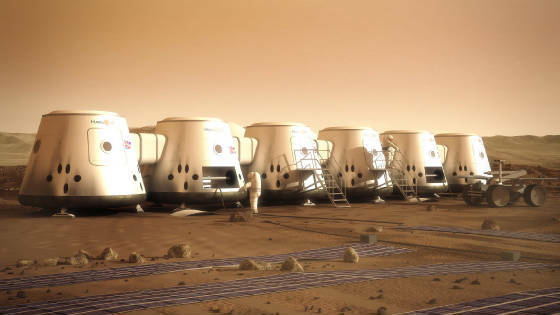 Since the question is not whether we will colonize the Moon or Mars, but who, what, where, how, why, and when we will colonize these new habitats, therefore, these habitats must also reflect a sense of connectivity and situational awareness to avoid social isolation. This is important not for reasons of survivability in space, but also for marketability of the space living experience and for desirability for communities to move to space. Space architecture (SA) is a relatively new phenomenon which connects architecture either with scientific disciplines or with space technologies. It involves physiology, psychology, and sociology, and is primarily founded in engineering (especially aerospace engineering). Focusing on the totality of the built environment, it aims to consider issues beyond engineering components and systems to gain a broader understanding of the issues that affect design outcomes and ultimately, success in human environments.